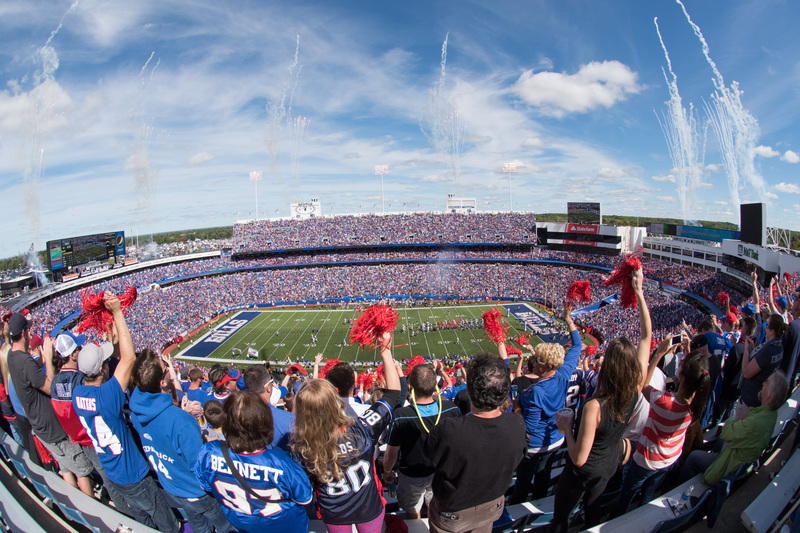 Bills fans, don’t miss your chance to purchase individual game tickets! Tickets go on-sale on Tuesday, July 19 at 9 a.m. All tickets are sold exclusively through Ticketmaster online at www.ticketmaster.com or by phone at 1-877-BB-TICKS (228-4257). Please note that individual game tickets may not be available for all games. Season tickets remain available for the 2016 season. Season ticket members continue to receive the best overall value for fans purchasing tickets with discounts up to 50 percent from the individual game prices along with numerous additional benefits. Fans can also purchase single game tickets via NFL Ticket Exchange where fans can receive 100 percent Ticketmaster verified Bills tickets. Fans can purchase season tickets securely online through the Ralph Wilson Stadium virtual venue on buffalobills.com. The virtual venue allows fans to see a view of the field from available locations before committing to purchasing the tickets. Fans can also purchase tickets by calling 1-877-BB-TICKS (228-4257), emailing ticketsales@bills.nfl.net or visiting the box office at Ralph Wilson Stadium. For a complete pricing tier breakdown for Bills 2016 individual games, click here.